Imagine yourself living at the time the very first Christian Church was established by the apostles. See the soft glow of the oil lamps hanging in front of the icons (St. Luke painted the first several). Smell the incense circling around you. Hear the chanting of what seems to be angels. Welcome to the Orthodox Church, a Church that has remained unchanged since Christ established it. Many Americans have never heard of it even though it is the oldest and second largest Church in the world. 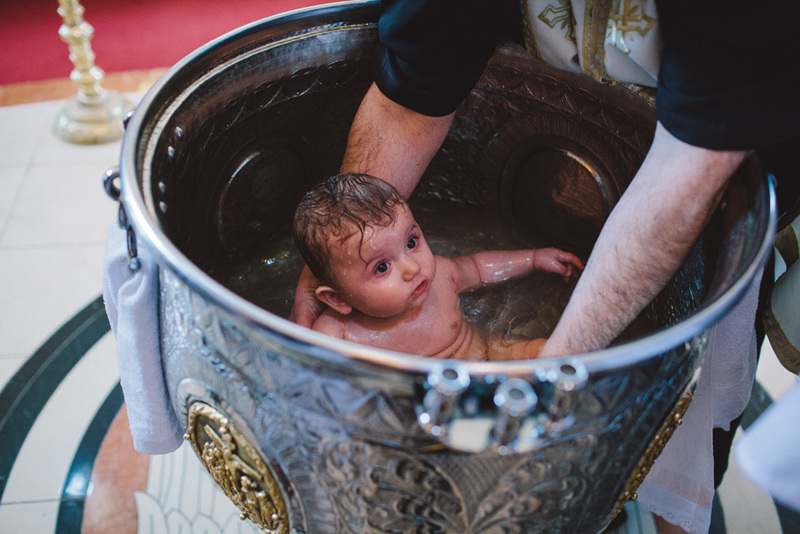 The Sacrament of Baptism is one of seven holy mysteries of the Orthodox Church. 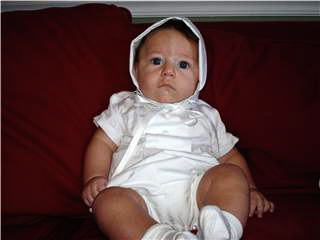 Children born to Orthodox families are generally baptized as infants. We dedicate our children to God as early as possible so they can grow in Christ. 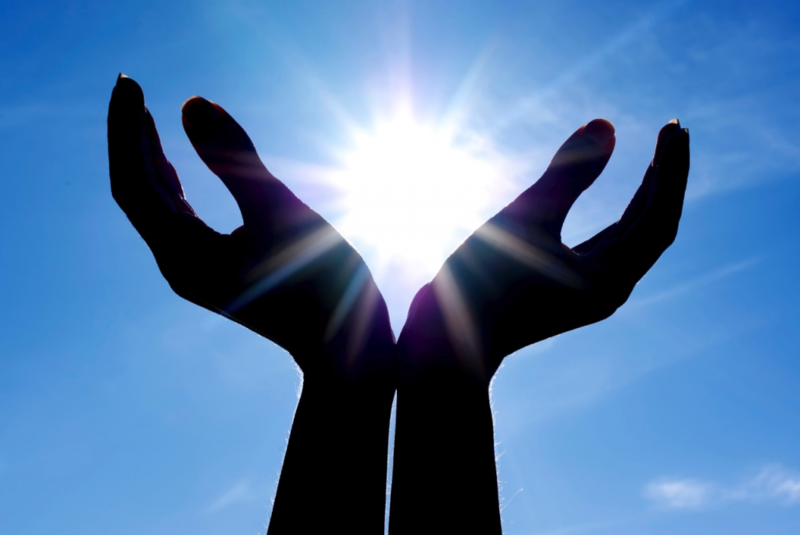 Although a child does not have the ability to reason they are still able to participate in Divine Grace. Adults may also be baptized; if the adult is converting from a different faith they first become a catechumen.A catechumen is simply a person who is receiving instruction in the Orthodox faith in preparation for baptism. On the eighth day after a child is born, they are given their Christian name. (See story of St. John the Baptist Luke 1:59-60) A child can be baptized anytime after he or she is 40 days old. Orthodox Christians keep the Jewish tradition of the mother and child remaining at home for 40 days immediately following birth. Just as the Mother of God brought Christ to the temple at 40 days, we also bring our children to the Church for the 40-day blessing. After that it is left to the parent’s discretion to decide when the child will be baptized. The service begins outside of the Church in the Narthex where the priest reads several prayers. During these prayers the godparent is asked to renounce and spit on Satan and all his pride, works, etc. on behalf of the child. This is done facing west, spiritually facing the powers of darkness. The godparent is then asked to face east, symbolizing their turning their back to sin and are asked to unite themselves to Christ. The Nicene Creed or Confession of Faith: At this point in the service the godparent recites the Creed, which was written at the first ecumenical council at Nicea in 325 A.D. In this they recite, “I believe in one baptism for the remission of sins.” From here we proceed to the font. The Baptismal Font: The baptismal font symbolizes the womb where we are re-born into Christ’s kingdom and the tomb where we die to sin. The priest recites a special prayer asking God to send His Holy Spirit to bless the waters. The Anointing of Oil: Olive oil is blessed and then applied by the priest to the various members of the child’s body: hands, feet, ears, mouth, in order to dedicate them to the service of Christ. The godparent then anoints the entire body of the infant with olive oil. In baptism, the child is anointed with olive oil. This symbolizes the child’s preparation to enter the spiritual arena and to express our prayer that with Christ’s help the infant may be able to elude the grip of sin. Triple Immersion: The word baptism originates from the Greek word baptizo, which literally means to immerse. In the Orthodox Church the child is fully immersed in the baptismal font 3 times to symbolize Christ’s 3 days in the tomb and also in representation of the Trinity of God. Each time the child is immersed the priest says, “The servant of God (name) is baptized in the name of the Father, and the Son, and the Holy Spirit. Chrismation: In the Orthodox Church, the sacrament of chrismation is administered immediately following baptism as in the early Church. By this sacrament we receive the gift of the Holy Spirit just as the apostles received at Pentecost. The child also receives their baptismal cross at this point. The cross is blessed and kept for the rest of our life as reminder of Christ’s sacrifice for us and a symbol of Christ’s victory over death. The Cutting of the Hair: The priest cuts four locks of hair, in the shape of a cross, from the child’s head. This is an expression of gratitude from the child, who having received an abundance of blessings through the Sacraments of baptism and chrismation and having nothing to give to God in return, offers part of its hair, that until now has never been cut, which is symbolic of strength (see Samson in the Old Testament). Therefore, we promise to serve God with all our strength. The Eucharist: Immediately following Baptism the child receives the precious Body and Blood of Christ in the Sacrament of Holy Communion and is brought to Church regularly after baptism to receive the sacrament. The new life in Christ, given in baptism, is renewed again and again in the Eucharist. 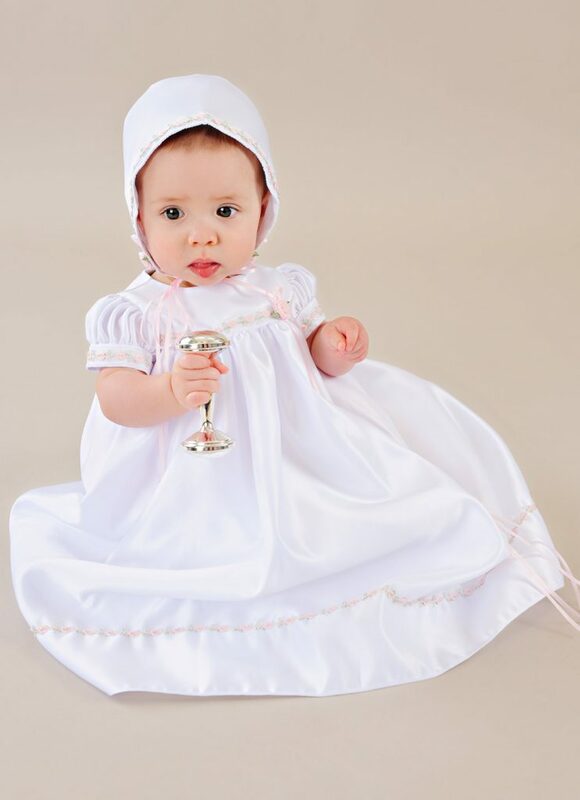 In the Orthodox Church, every baptized infant becomes a full member of the Church and is entitled to receive Holy Communion. As nature provides milk for the nourishment of the infant after birth so God provides Holy Communion for the infant immediately following baptism in order to provide nourishment for the spiritual life they have received through baptism. During the service there are several candles that are held and the priest, child and godparent circle the baptismal font three times while chanting the words of St. Paul, “As many as have been baptized into Christ have put on Christ…” (Gal 3:27) The candles symbolize our vigilance as we await the return of Christ; such as the wise virgins who did not allow their lamps to go out. It also reminds us that Christ is the light of the world and whoever follows Him shall never live in darkness. After the baptism there is a dinner served so that everyone can celebrate the newly baptized child. The guests are always given a favor, usually an icon of the child’s patron saint, tied with koufeta (jordan almonds). The parents keep the child dressed in white for 7 days. Many mothers have said that during that week their children are more peaceful and quiet than usual. This makes some of us wish we could baptize them more than once! 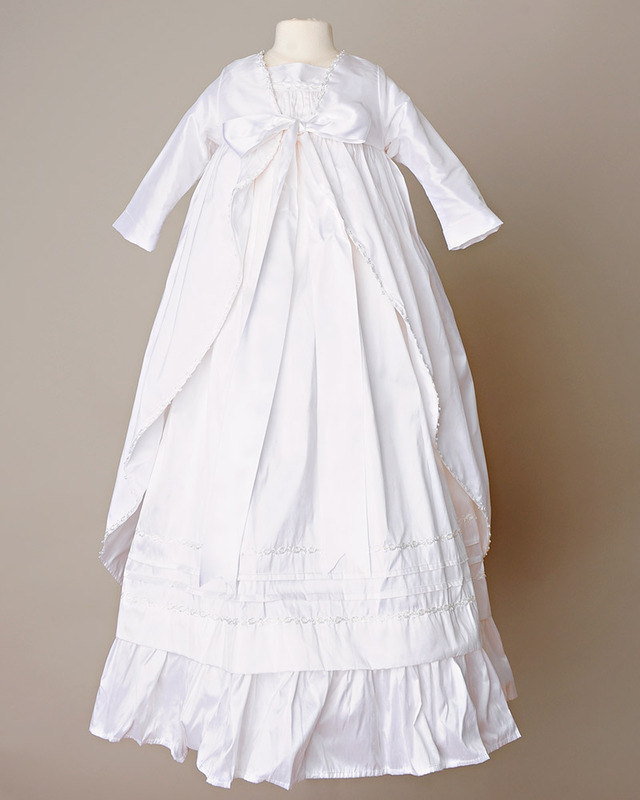 We also dress the child in their baptismal garments for three consecutive Sundays following the baptism. This may be overwhelming for some but for Orthodox Christians this is the beauty of our Faith. A Faith given to us by Christ, and preserved for us for generations and generations through the sweat and blood of countless saints, to whom we are eternally grateful. Every service and mystery within the Orthodox Church is overflowing with symbolism and faith. For more information on the Orthodox Church you can visit the Orthodox Christian Information Center. Sylvia is a freelance writer who lives with her husband and two adventurous little boys. She considers her Faith and her family to be her two most valuable possessions. She is also the author of the blog Adventures of an Orthodox Mom where she and a fantastic network of moms share their mishaps and triumphs of raising children within the Orthodox Faith. I’m excited to begin a series of articles written by mothers of different faiths describing the significance of their respective religious ceremonies for infants and children. I hope you’ll enjoy and learn just as much as I will! If you or someone you know would like to be a contributer to this series, please feel free to contact me. Maria kindly sent photos of her handsome little guy in our Tyler christening outfit. He’s a cutie! 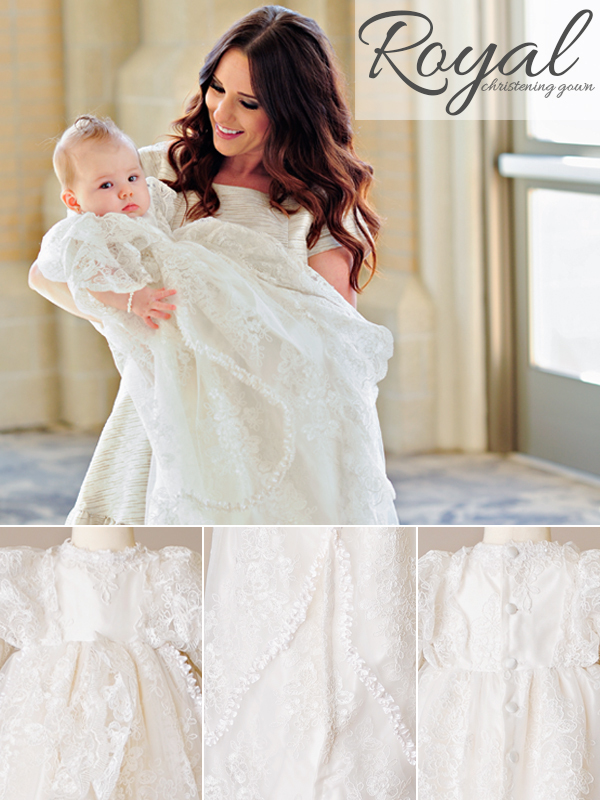 About a year ago, I was helping out at our customer service desk and took a call from a loving aunt, looking for a christening gown suitable for a baby with special needs. This was my introduction to Beautiful Daisy, a darling baby girl born with a rare and devastating skin condition called EB. Any kind of pressure/touch causes her skin to break out in painful sores and blisters. 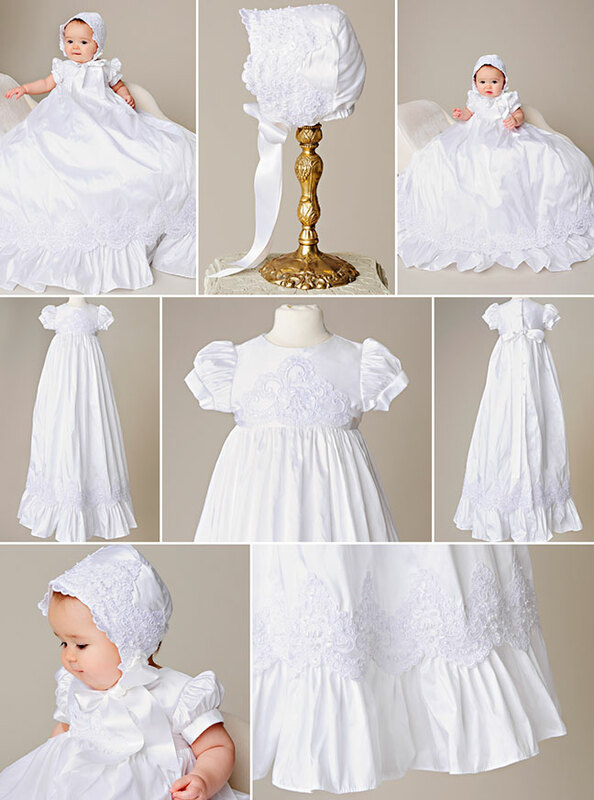 Coordinating with her mother, we were able to make some modifications to our Mandi christening gown in an effort to lessen possible friction and rubbing of the garment. I’ve checked in on Daisy periodically since then…I’m touched by the sheer enormity of the challenges she faces, and that despite these challenges, her mother describes her as sweet, happy, and determined. She has defied the odds in surviving her first year, and at 17 months of age is walking and talking and playing. This week, local churches and charitable organizations are raising funds to help Daisy’s family build a specially equipped room to better facilitate her significant daily-care needs. Please visit her site to learn more and to see what you can do to help out. Note: our Belle gown is no longer available. 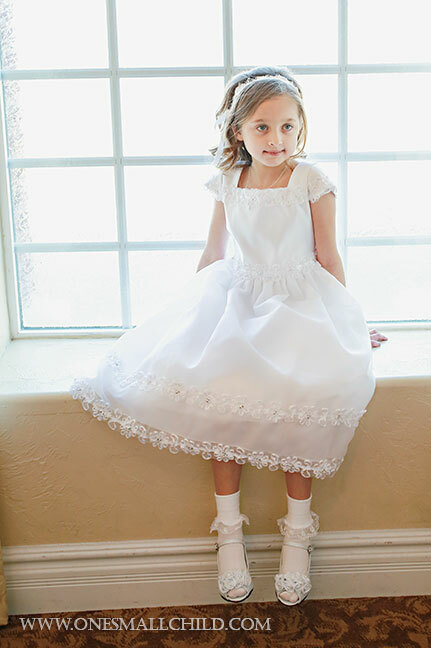 Please see our Esther gown pictured above for a similar style.